If I ever make a 10 favorite songs list, "Summer Breeze" will be included. I love the Seals and Croft originals original (1972), and also love the Isley Brothers cover (1974). Pop culture has brought the Isley Brothers version back to the forefront with me. It was featured on Scandal last year. It also must be on some type of tape loop at Chipotle. Every time I go in for a Sofritas (spiced tofu) bowl, this song plays. I take that as a sign ... at least as a sign that I should share this with you. Enjoy! 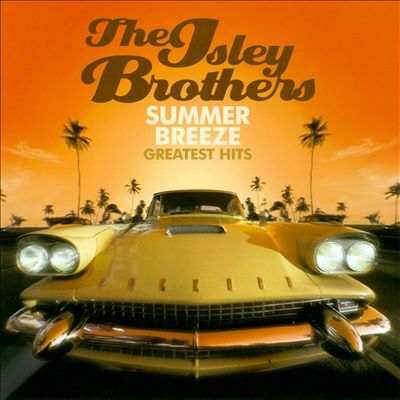 I love "Summer Breeze" by the Isley Brothers. It is one of those songs you can just put on repeat. I love Scandal too. I haven't watched Scandal yet. Will have to put it on my to do list to binge on this summer. ;) I like Summer Breeze too. I love playing with the windows down and cruising. Great song. I love revenge and never got into scandal not sure why. I've always loved '60s and '70s rock, and this song is no exception. I'll now be humming it for the rest of the week! Thanks, Natalie! 1960's - 1970's music is my favorite, too.